When you finally make it up to the counter at Salt & Straw, even if you already know what you’re going to order, you always ask for as many ice cream samples as you can get. That’s just how it’s done. There are so many tempting and inventive flavors—and who are we to say no to a free bite of ice cream? Every month there’s a new rotating menu of limited-edition flavors, and although the novelty may be enticing, there are also a dozen classic flavors that are always available. Some you love and some you love a little less, but they’re all tried and true—everyone has a favorite classic flavor. We tasted all 12 and ranked them based on how much we’d want to eat in one sitting. Here’s what we came up with. This is a solid vanilla ice cream—but nothing too exciting. 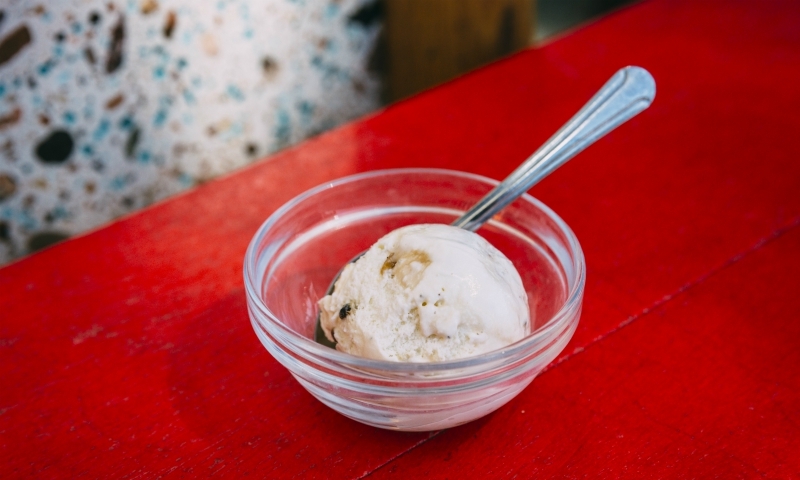 We imagine Salt & Straw keeps this flavor on the menu for flavor-pairing purposes. Fans of chevre will appreciate the tang of this creamy goat cheese ice cream. 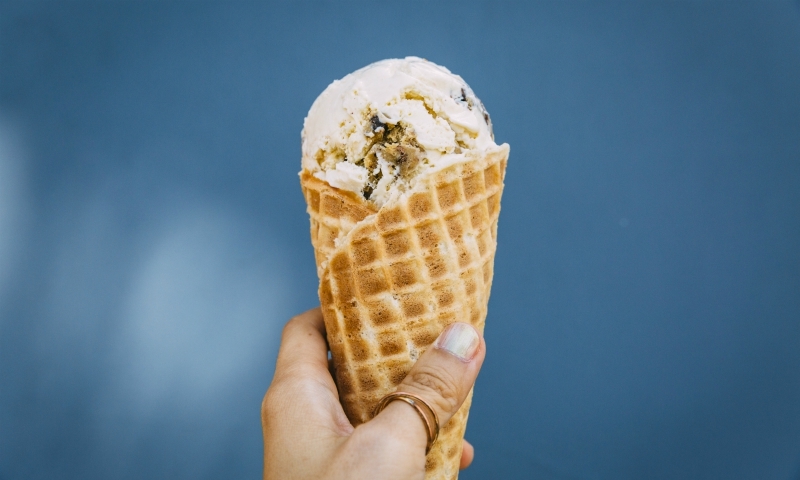 The black olive brittle is a little sweet and a little salty, but there is an overall funk to this flavor that makes it feel like it belongs on a cheese platter rather than in a cone. If goat cheese is your thing, go for it! This flavor is as bright as its lavender hue. They steep lavender in honey and cream for 24 hours to get maximum infusion. The floral taste might be a bit overwhelming for some people’s taste buds—it leans a little soapy. Pair this with a scoop of chocolate for a less intense floral flavor. 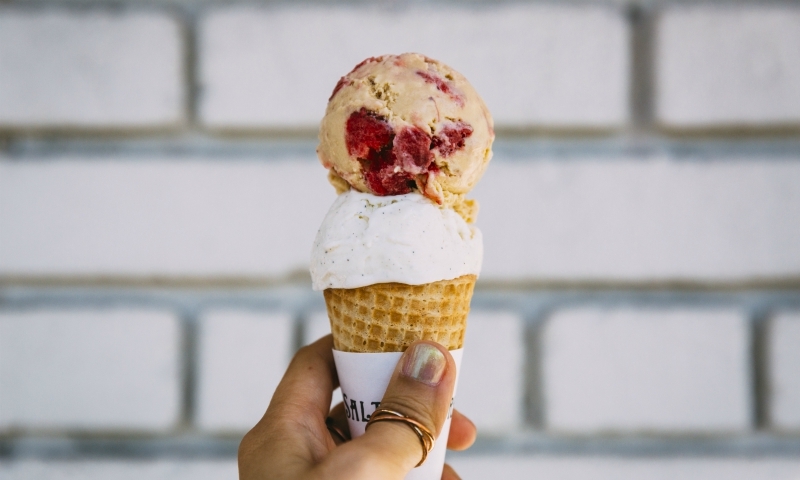 The roasted strawberry coconut flavor is a non-dairy ice cream made with coconut cream and strawberries—that’s it! It’s simple but has a lot of fruity, creamy flavor. The caramelized strawberries mix with the coconut cream to create a super sweet concoction and a great vegan option. 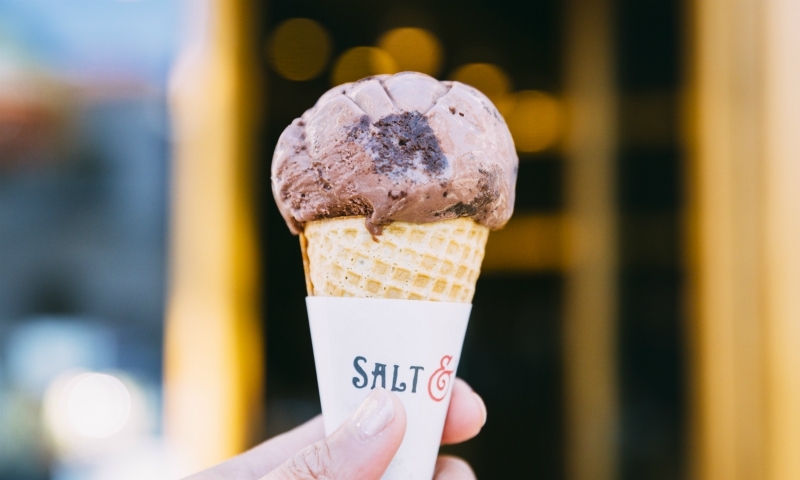 This chocolate ice cream is made using an old-fashioned technique called freckling, where in they mix roasted untempered Woodblock Chocolate from Portland, Oregon, into ice cream, creating chocolate “freckles” throughout. The freckles give it a rich chocolatey flavor, which is offset by the addition of sea salt. 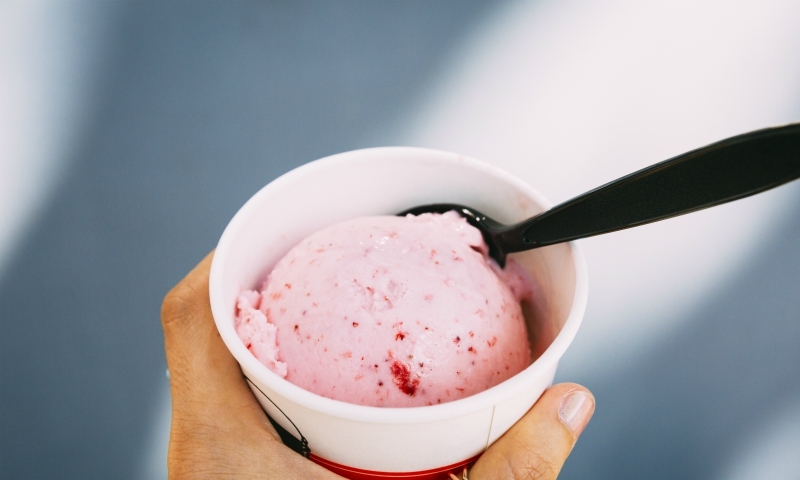 There are big chunks of sweet and slightly tart roasted strawberries in every bite of this ice cream. The smooth white chocolate only enhances the bright berry flavor. It’s refreshingly fruity and sweet. Angelenos love avocados. We’ll put them in anything—including ice cream. 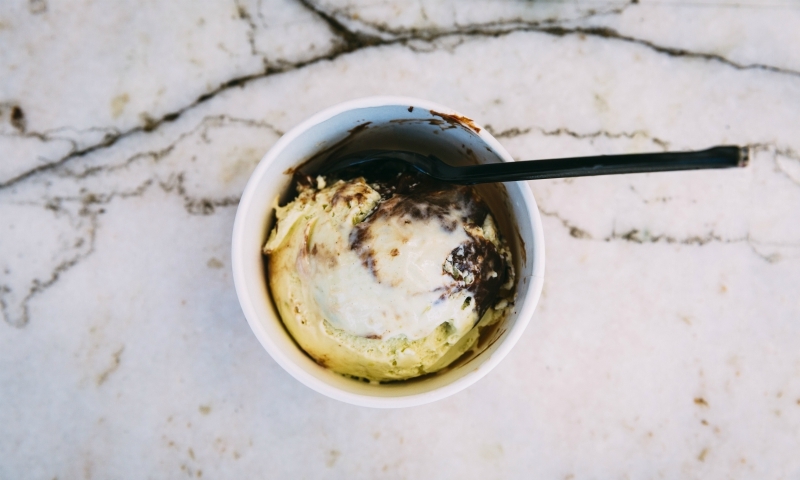 This avocado and Oaxacan chocolate fudge ice cream has that fatty, sweet flavor of a perfectly ripe avocado combined with the richness of Oaxacan chocolate swirls. And in case you didn’t know, avocado and chocolate pair really well together. Even better than avocado and toast. 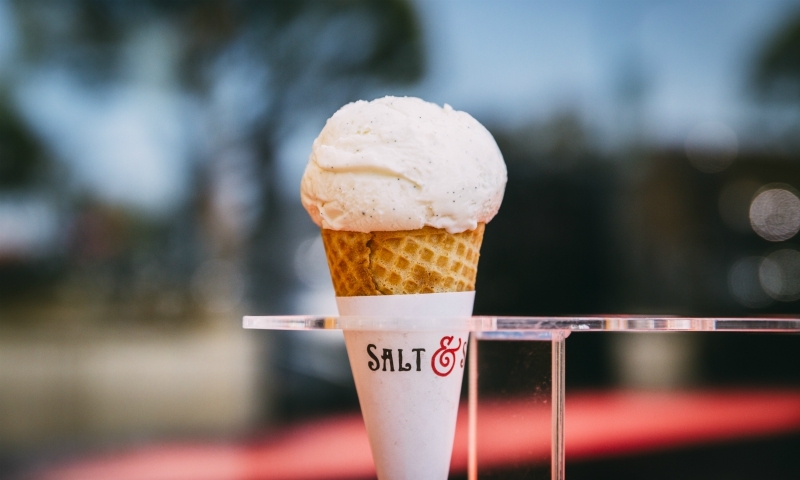 Sea salt with caramel ribbons was practically everyone’s first favorite Salt & Straw flavor. The salty and sweet base and hand-burned caramel make us feel all warm and fuzzy inside. 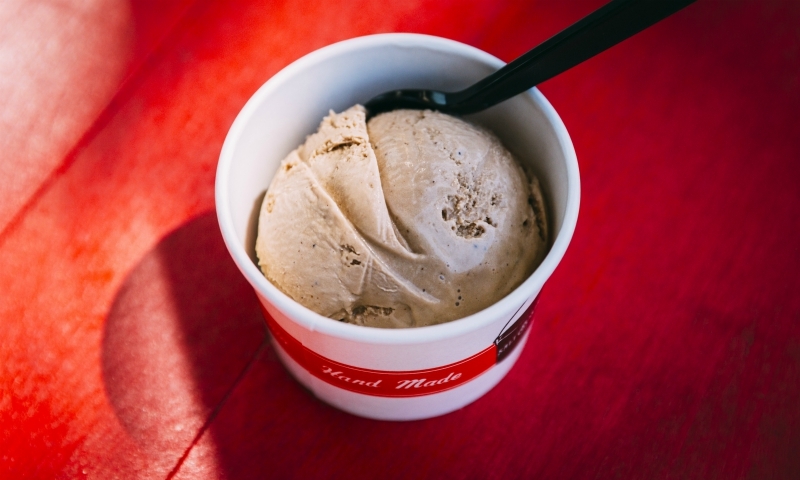 Even if you’ve personally moved on to other flavors, it remains Salt & Straw’s most popular offering. If you ever wanted to get chocolate wasted, this flavor will do the trick. Chewy chocolate brownies (which, BTW, are made with marshmallows—yum!) are added to a luscious chocolate ice cream. It’s like jumping into a pool of chocolate—a heavenly experience. If it’s too intense for you, try pairing it with another flavor. Don’t you hate it when you’re eating cookie dough ice cream and you have to dig to find the cookie dough? 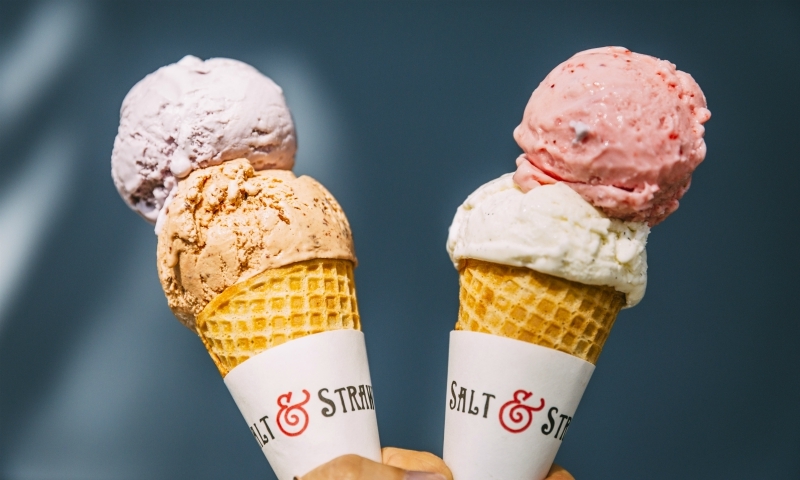 Salt & Straw would never do you like that. They put huge gobs of salted chocolate chip cookie dough—and lots of them—into vanilla ice cream with malted fudge swirls. 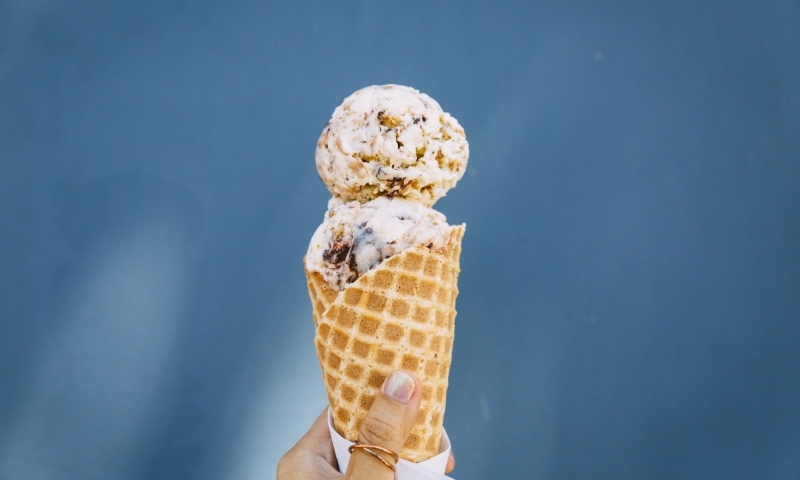 It’s as close as you can get to a big scoop of cookie dough in a cone. Coffee drinkers know that feeling when you take your first sip of super-strong coffee in the morning and it gives you the jolt you need to get through the day—or at least through that morning meeting that should have been an email. This is that feeling in ice cream form. It’s made with real coffee and real whiskey, and tastes just like a strong cold brew with a hint of whiskey sweetness. And because it’s made with actual coffee, you might get a little bonus caffeine pick-me-up. Throughout the couple hours we spent tasting all these flavors, we kept going back to this one. 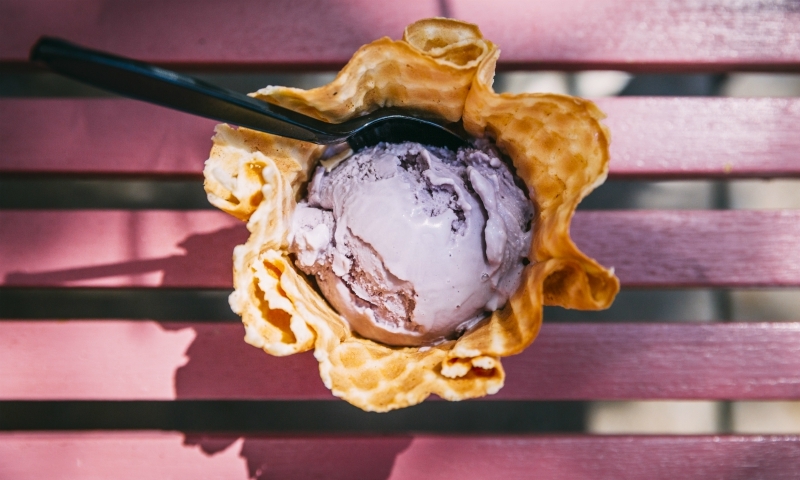 It has a sweet, nutty, and crunchy almond brittle with chunky, chewy, salted chocolate ganache mixed into velvety smooth vanilla ice cream. The flavors and textures are irresistible. 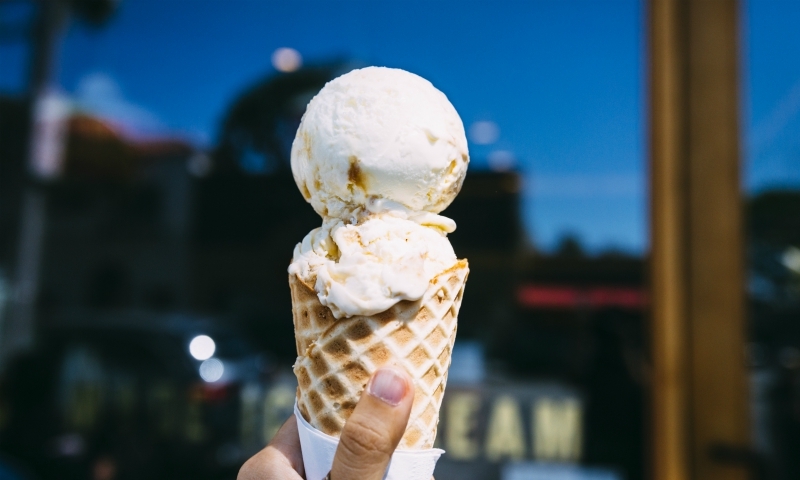 The recipe for the almond brittle came from the co-founder’s grandmother, so you know this ice cream has lots of history and love mixed in. It’s like grandma always said: Treat yo’ self. Ed. 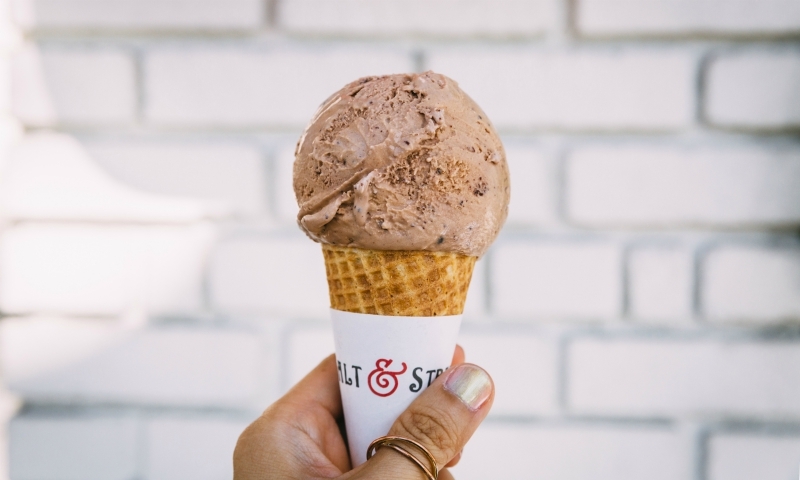 note: All samples provided free of charge, compliments of Salt & Straw.